On Saturday, 30 September 2017, SEAMEO RETRAC’s Kiddy Programs cheerfully celebrated Mid-Autumn Festival with lots of fun and cultural activities for all ours students. 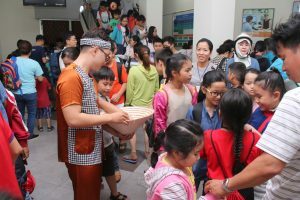 In order to motivate our children’s’ artistic and creative abilities and inspire teamwork amongst the children, Kiddy Programs conducted the 2017 Lantern Making Competition for students from level “Kids2A” to “Youngsters”. 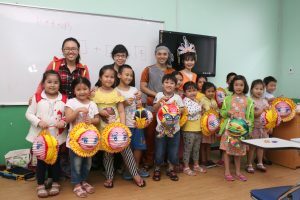 During the competition, classes freely designed and decorated and then shared their own lanterns with one another. 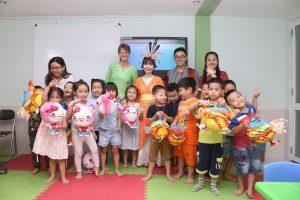 Prizes were awarded to thirty beautifully decorated lanterns by the adding up their scores from both the Kiddy Program’s judges and votes on our Facebook Fanpage Anh Văn SEAMEO RETRAC.